Alice is too tall, awkward and has difficulty making friends. As a result she has had to change schools many times because nothing seems to go right for her. She just doesn’t fit in. Millie on the other hand is much smaller than average Yare with fur a different color. That’s right, a Yare, or as we humans like to call them, Bigfoot. Millie doesn’t really fit in either mostly because she questions things and is curious about the outside world, longing to be part of it instead of hiding away. The story follows Millie and Alice separately for over half of the book, leading to the discovery, and the development of their friendship. I think kids in the target age group may enjoy it, girls more than boys since it’s about girls and their self-esteem. I really did enjoy the message that we are all different and we all have value. However, the concept of Alice having no friends was not very believable because her roommates at her new school clearly want to be her friend and Alice doesn’t realize this until the last 15 pages of the book. I found that really hard to believe. It’s written well enough and the two main characters are likeable but it never grabbed me. There is a twist that came out of left field and clearly leads to a sequel but it seriously didn’t fit with the rest of the book. This cliffhanger raises many interesting questions to which I may never get the answers because I’m not sure I’ll pursue future adventures of Millie and Alice. 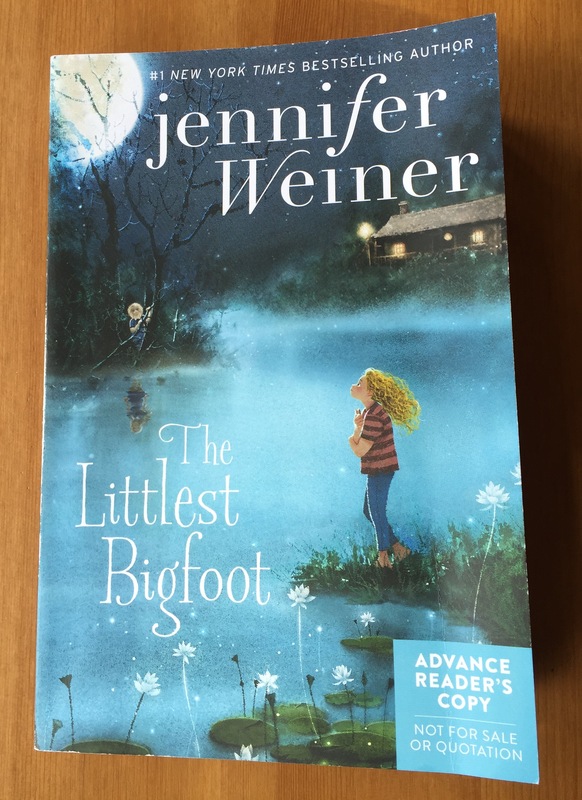 This entry was posted in Middle Grade and tagged Jennifer Weiner, middle grade, Middle grade reader, The Littlest Bigfoot. Bookmark the permalink.